Off the back of my post on International Women’s Day that highlighted some amazingly strong women in musical theatre, I thought a post dedicated to mothers and mother-figures in musicals would be highly fitting! Please note, this piece contains spoilers from some musicals…read with caution! Although Billy’s Mum from Billy Elliot isn’t actually alive during the show, she clearly has a huge impact on Billy which lasts throughout the show, and probably his lifetime. She is kind and warm through just one letter to Billy, we know how supportive she is. The line in “The Letter” “and please Billy, know that I will always be proud to have known you” makes me well up every time. Mrs Wilkinson, as a mother figure instead of a direct mother, is also hugely crucial in this show. Taking Billy under her wing and treating him as one of her own, Mrs Wilkinson supports and nurtures Billy as a real mother would have. Kim from Miss Saigon has got to be up there with the most protective mothers from musicals of all time. She *literally* kills for her son and does more than you would think humanly possible to try to reunite her small family. She sacrifices so much to give her son the best life possible and is brave and strong in doing so. 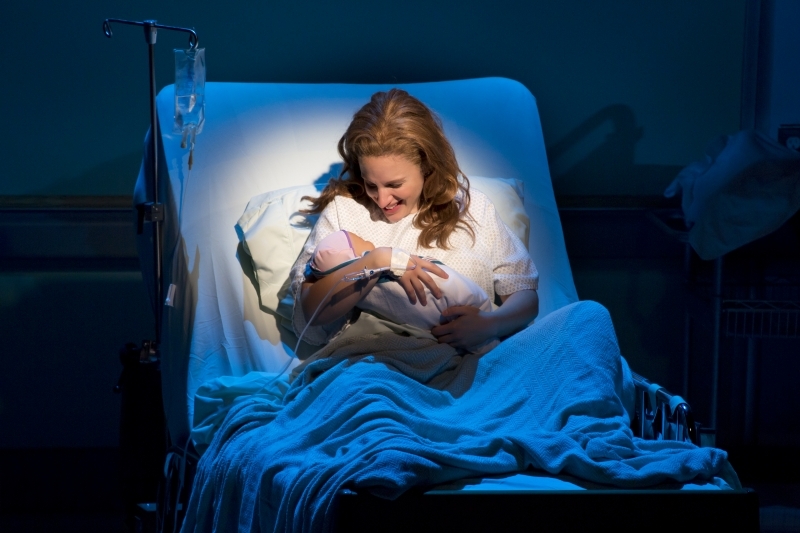 Much like others in this list, Jenna from Waitress does everything possible for her daughter. Through her daughter, Jenna grows so much as a woman and as a mother. She loves her daughter like no other love in the world and proves throughout the show that she will fight and do anything if it is right by Lulu. Hannah’s story in Come From Away is one that really gets to me. It’s truly a story in the show that reminds you of the individual tragedies and lives lost in 9/11, and the friends and families effected. Hannah spends the whole show trying to get in contact with her son who was a firefighter in New York while she is stuck in Gander, Newfoundland. She is a dedicated mother and deserved better. Two of the strongest mothers from a modern musical, both Heidi Hansen and Cynthia Murphy from Dear Evan Hansen have teenage boys with mental health issues that they don’t know how to help with. Each tries their very best, tries to be understanding and supportive of their sons, but can only go so far in helping their children with their individual needs. However, never once does either mother neglect or put down their children due to their mental health, and instead do their best to rise them up in spite of it. In their own very unique ways, these three mothers from Hairspray are all the encouraging and supportive role models to their children. Edna Turnblad eventually supports daughter Tracy dancing on the Corny Collins show, Motormouth Maybelle stands with her children as they fight against segregation and Velma Von Tussle is nothing anything if not a supportive mother (if not always in the “right” ways). Between these three strong mother role models, this show makes for one to truly celebrate mothers. Maureen from Blood Brothers makes one of the hardest decisions as a mother, having to split up her twin boys at birth. She stands by her decision throughout the show as doing best for all her children, but not all decisions are necessarily the right ones, and always have consequences. A potentially controversial choice for Mother’s Day, but Mama Rose from Gypsy cannot be forgotten. Hailed as the most fierce mother of all time, Mama Rose pushes her children to extremes and ends up living her life through them. At the end of the show the legendary song “Rose’s Turn” questions what it means to give up your dreams to be a mother. Similarly to the women in Dear Evan Hansen, Margaret New in Everybody’s Talking About Jamie continues to raise her son up in a potentially difficult situation. Not everyone’s mother would be so supportive of their 16-year-old son turning into a drag queen, but buying Jamie his first pair of stilettos for his 16th birthday is only the tip of the iceberg in Margaret’s support and admiration of her son. Family friend Ray is also a hugely important mother-figure in Jamie’s life. They both stand by him in spite of the backlash he receives and never leave his side. Happy Mother’s Day to all! Make sure to celebrate your mothers or mother-figures in your life and thank them for what they have done for you. If this day is hard for you for any reason, don’t forget that there are organisations you can call to talk to or listen, such as Mind. Specifically for family-based issues are organisations such as Family Lives and Adfam. Previous Theatre on Demand – Yes or No?